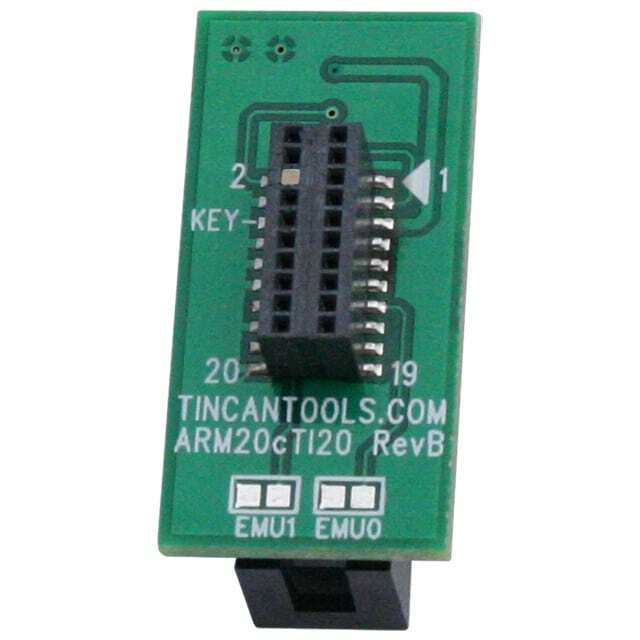 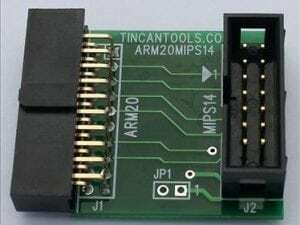 The ARM20cTI20 JTAG adapter board converts the Flyswatter2’s ARM 20-pin JTAG interface into a compact TI (cTI) 20-pin JTAG interface for Texas Instruments target boards. 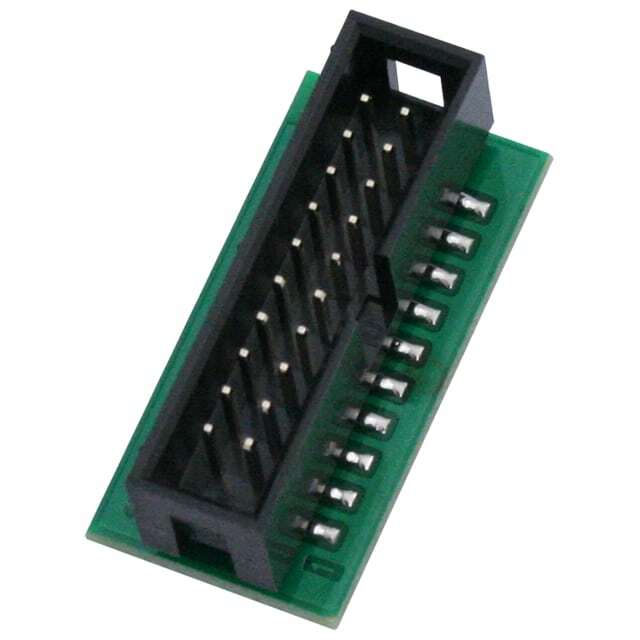 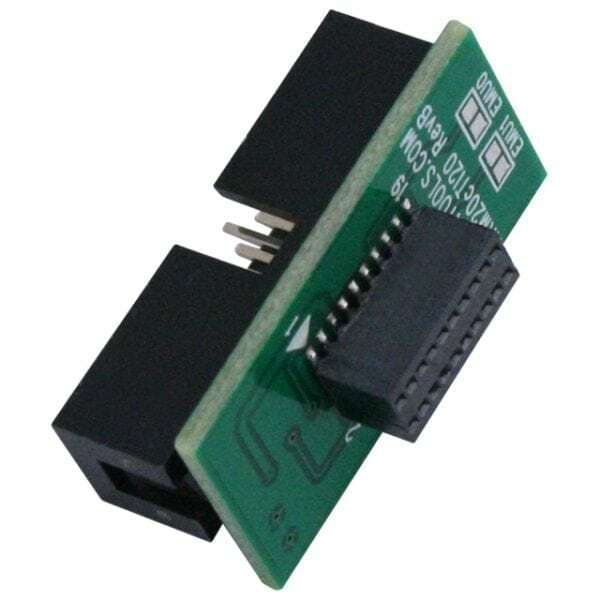 JTAG Adapter Board – This board plugs into the Flyswatter2’s JTAG connector and converts it to a cTI 20-pin header that is compatible with the BeagleBone Black’s JTAG Interface. 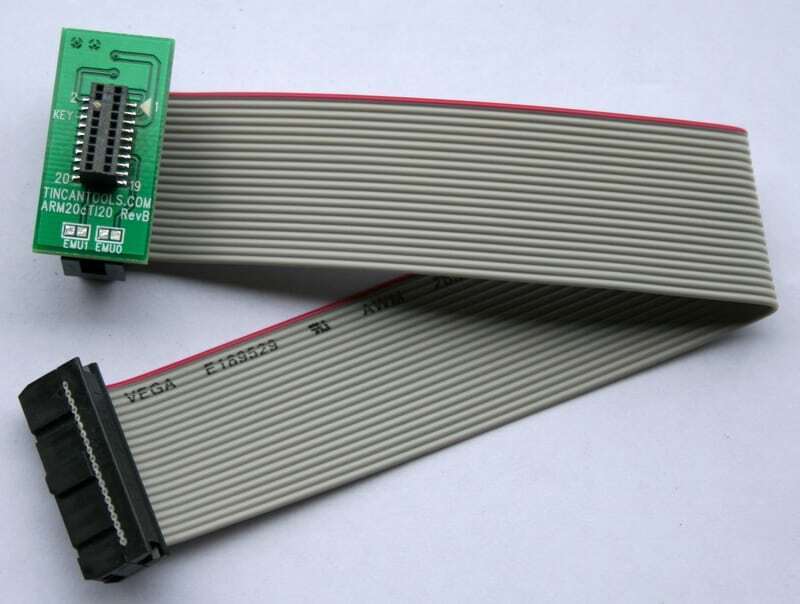 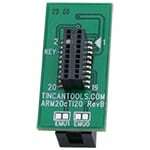 The ARM20cTI20JTAG Adapter board is designed to work with the Flyswatter2. 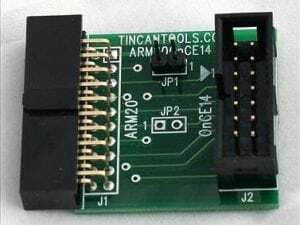 The ARM20TI14 JTAG Adapter board also works with Lauterbach JTAG debuggers.